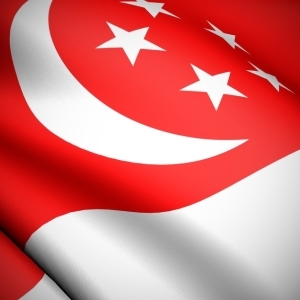 The Singapore government has today announced its 2013 Budget Statement. Singapore company registration specialist Rikvin notes that even though marked investments for education and the elderly were slated, more measures have been announced to help Singapore residents and companies to cope with rising costs this year. Taxpayers aged 60 years and above will enjoy a higher Singapore income tax rebate of 50%, while those who are under 60 years old will get a rebate of 30%. Both rebates are capped at S$1,500. The government will also give rebates for Service & Conservancy Charges in public housing estates known as HDB. One- and two-room HDB households will receive three months of rebates, while three- and four-room households will get two months of rebates this year. The foreign domestic worker levy (FDWL) will be lowered from S$170 to S$120 per month for families with young children, elderly dependents and family members with disabilities. As part of the government’s Three-Year Transition Support Package to help businesses restructure and cope with higher rental costs, Singapore incorporated firms are given a corporate income tax rebate at 30% of tax payable, capped at S$30,000 per annum. The package will cost the government S$1.3 billion over three years. We are happy to see the introduction of the WCS and that the PIC criteria has been eased for small enterprises and hope that [small enterprises] can cope better this year. To help ease the cash flow of companies, firms that own commercial vehicles will enjoy a one-year road tax rebate of 30%. This rebate applies to goods vehicles, buses and taxis and will take effect on 1 July 2013. It is set to help businesses save S$46 million. In addition, owners of commercial vehicles will now be able to extend their 5-year Certificate of Entitlement (COE) further for another five years. To help businesses pay their employees more, the government will roll out a new Wage Credit Scheme (WCS). Part of a three-year Transition Support Package, the government will co-fund 40% of wage increases for Singaporean employees until 2016. Employers will be paid out annually. Singaporeans earning up to S$4,000 in gross monthly wages will benefit from this scheme. In addition, workers earning up to S$1,900 monthly will benefit from workfare payouts that will be raised between 25 and 50%, depending on age. About 480,000 Singaporean workers or about 30% of the citizen workforce will benefit from the new cap. The PIC Scheme Guide (PIC scheme) has also been enhanced to improve uptake by smaller companies. Under the new criteria, businesses which invest at least S$5,000 to improve productivity per annum will receive a dollar-for-dollar matching cash bonus, paid over and above the existing PIC benefits. This amount is capped at S$15,000 over three years until 2015. There are a slew of other measures as well, including the Land Productivity Grant, Workfare Training Support scheme and SME Talent Programme.